Offering fantastic transport links in and out of London, the area of Kentish Town has in recent years become a popular location for new developments, bringing a younger clientele to the area. 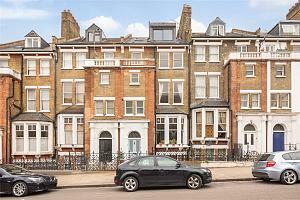 Property in Kentish Town consists mainly of terraced town houses, some of which have been converted into smaller flats. Some retain their original layout and provide spacious family accommodation. Kentish town has plenty of lively pubs, live music venues and other entertainment to keep you entertained. The Southampton Arms on Highgate Road only sells ales and ciders from independent breweries. They favour a no nonsense approach to pub cuisine offering only hot meat or cheese in baps. A quick note of caution however, the Southampton Arms doesn’t take cards- it’s a cash only pub. The Forum is a usual music venue. Originally built as an Art Deco cinema the building also spent time some time as a functioning bingo hall. In 2007 the building was bought by the MAMA & Company group. The venue showcases different genres throughout the year, from metal bands to martial arts displays. There are a number of smaller parks dotted around Kentish Town; including the ‘hidden garden’ that is Montpelier Gardens. Once a private garden for a large townhouse, it now contains a small children’s play area and retains some original features such as small stone walls and shrubbery. For larger green space, Hampstead Heath is easily accessible. As the area ‘comes up’ so does the number of quality restaurants and cafés. There is the newly opened French Restaurant, ‘Patron’, Joe’s Southern Diner and Wahaca plus the newly refurbished iconic ‘Bull and Gate’. Kentish Town already has a burgeoning selection of independent cafés and trendy gastro pubs. With regards to shopping, there’s a good selection of independent shops such as fishmongers, a Mediterranean supermarket, florists and an independent bookshop, all located on Kentish Town road. Owned by the Soho House Group, The Chicken Shop is a fast food restaurant offering free range chicken meals, great for those who love fast food yet respect the welfare of what they eat. There are a number of good schools in the area. The Eleanor Palmer Junior School is a local state primary school rated ‘outstanding’ by Ofsted. Other primary schools include Kentish Town primary and Torriano Junior school. Secondary schools include the Camden School for Girls, William Ellis and Acland Burghley. There is also the French private school, the Collège Français Bilingue de Londres. Kentish Town mainline station has services running north via St Albans and south towards the south coast, as well as services to Luton and Gatwick airports. Residents are proud to live in Kentish Town and there’s a real community feel. 225 Kentish Town Road, Kentish Town, London, NW5 2JU. 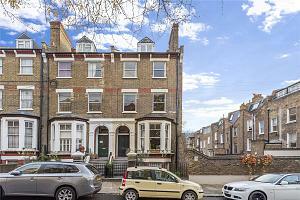 If you are looking for a property in Kentish Town, please get in touch by calling us or pop into our branch. 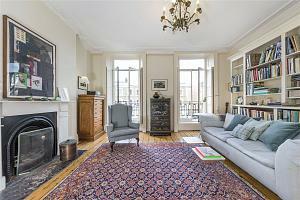 For more information, please contact the local property experts in our Kentish Town branch.